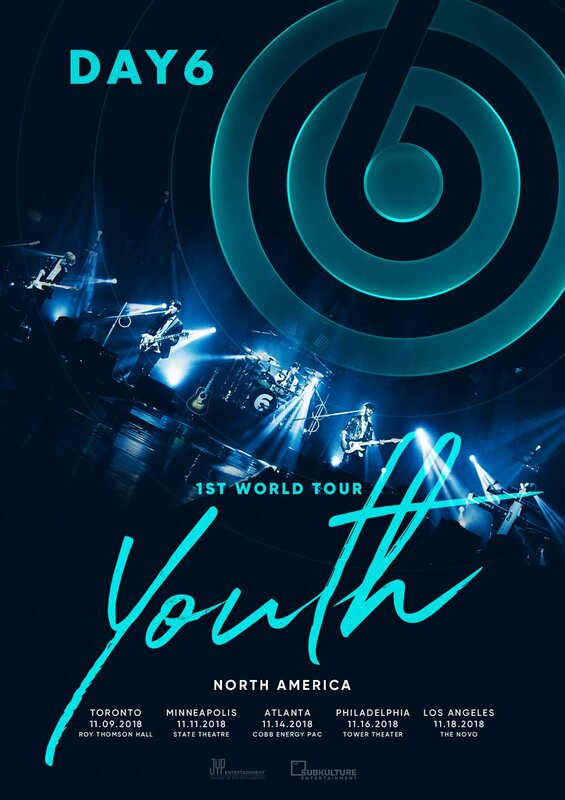 DAY6 Releases North American Tour Venue Information – Sweet Sweet Kpop | News, Games, Giveaways and more! North American MyDays, are you ready for this? On May 18, the JYP Entertainment band DAY6 announced their 1st world tour, ‘Youth,’ listing locations starting in Seoul and ending in Europe. Now, further details for the North American leg of the tour has finally been released! DAY6 will visit a total of 5 cities spanning the United States and Canada during the month of November. Below are the cities, dates, and venues. Check out if DAY6 will be swinging by a city near you! Don’t forget to keep up with SubKulture Entertainment on Twitter, Instagram, and Facebook. They will be releasing more information about tickets in August, so look out for that!